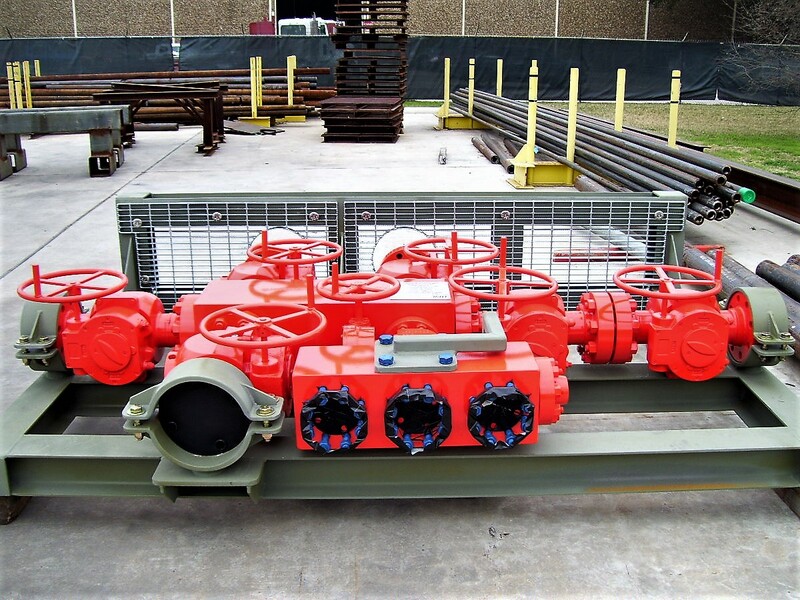 Mud Pump Discharge Assembly requirements are determined by the pressure requirements of the well plan. 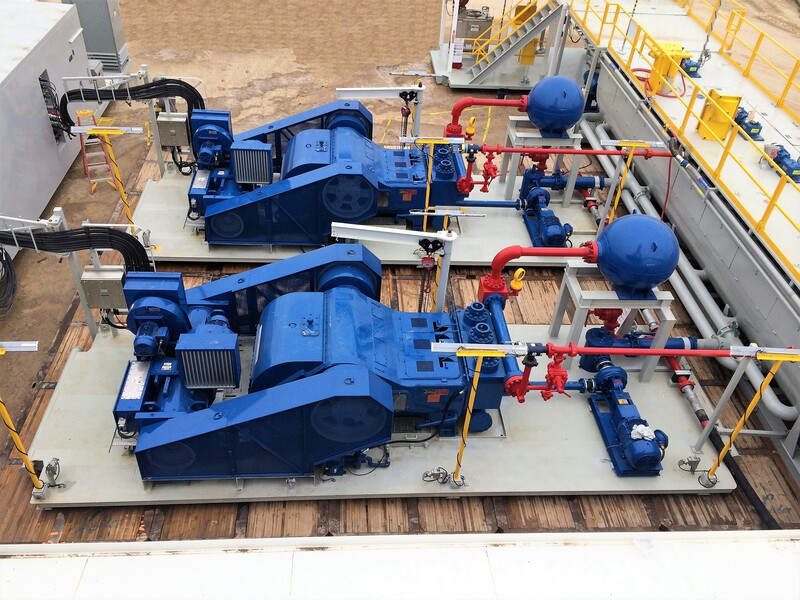 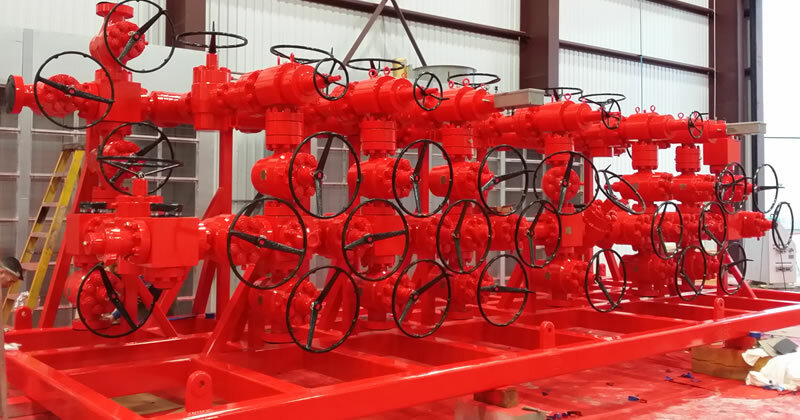 An assembly of valves that allows the driller to direct the drilling fluid coming back from the well bore. 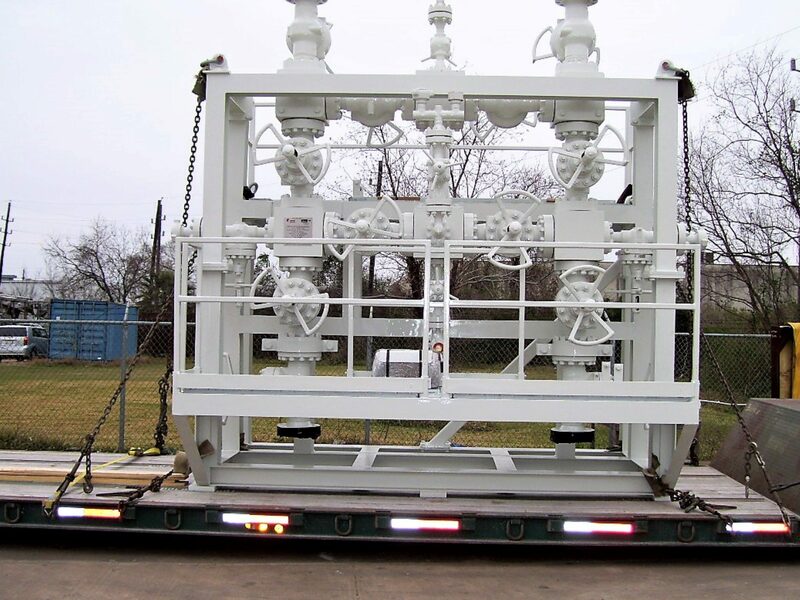 If the return fluid is under pressure, the choke manifold assembly will release that pressure at a controlled rate. 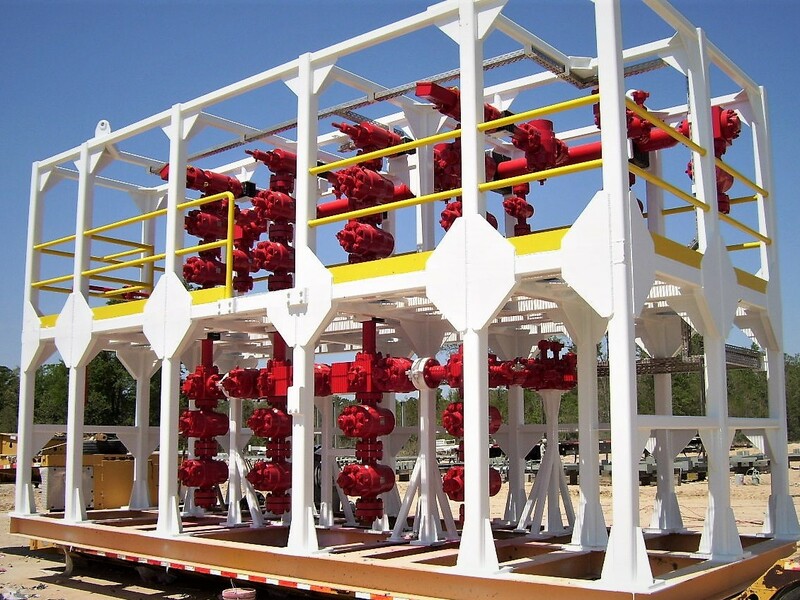 The driller can then redirect the drilling fluid to a gas separator, a flare, or to holding tanks. 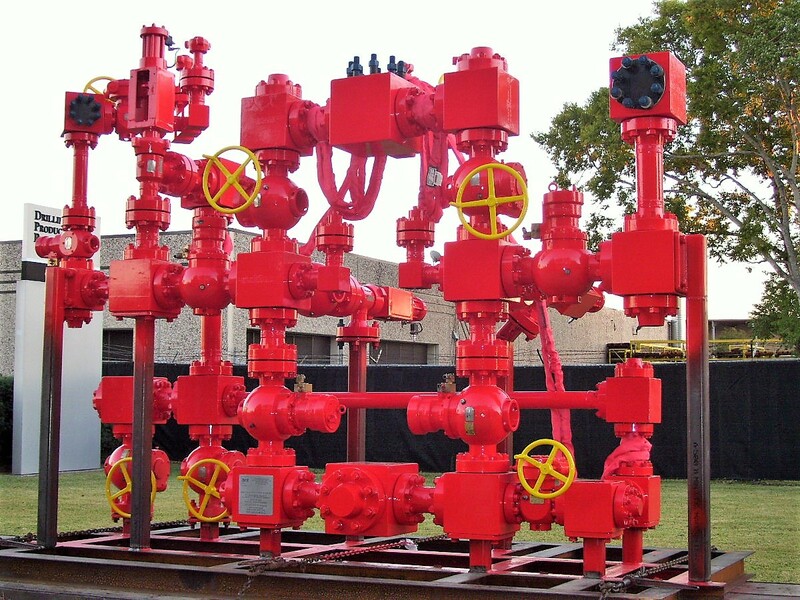 Ties all the frack pumps together and allows the fracking fluid to be directed to the well.